I almost forgot, to make DashWare integration work, you need the Dash Ware Data Profile, which you can download here. 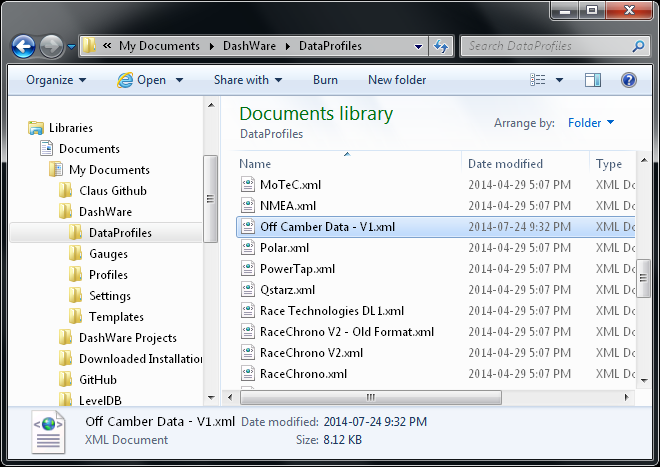 Copy this file into the DashWare/DataProfiles folder in your Documents folder, and you’re ready to import files from Off Camber Data into DashWare. This entry was posted in releases by Dirk. Bookmark the permalink.